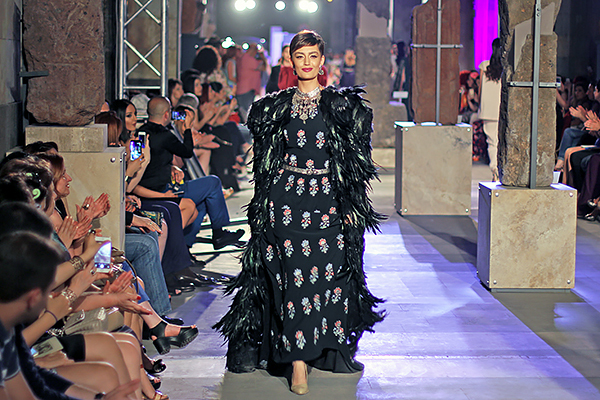 Every time I visit Yerevan, i try to see at least one fashion show by local designer. 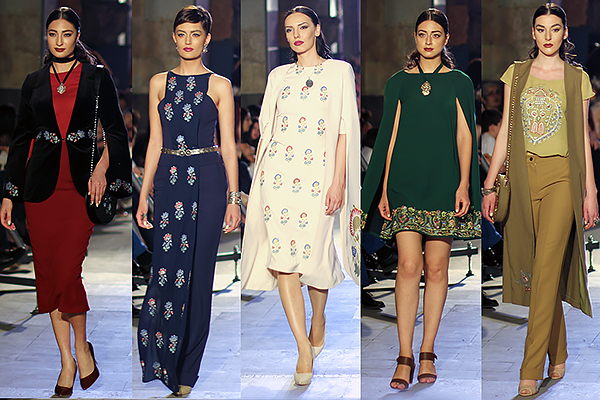 On 4 June Aram Nikolyan presented his new collection “Urfa:Reborn Values” in the History Museum of Armenia. 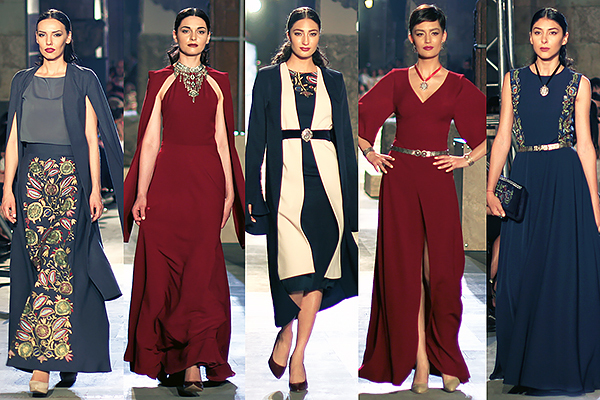 He mixed the modern cut with ancient Armenian elements. 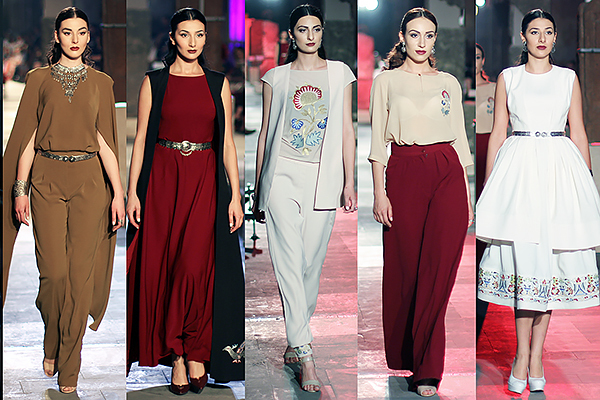 The outfits were combined with “Pregomesh” accessories by Sirusho. I would presonaly highlight the embroidery that has been made so well! 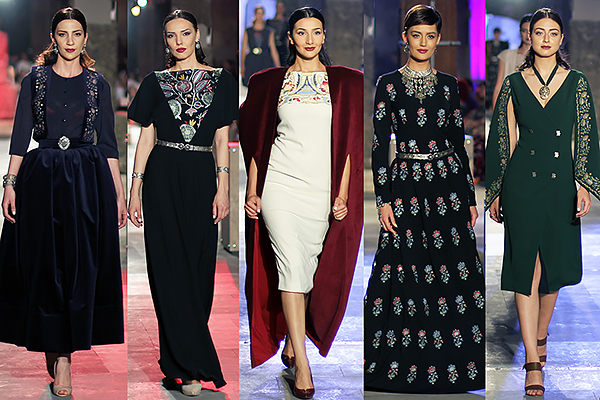 It’s a great job and talent to recreate the national costume and make it modern and so wearable. Bravo! 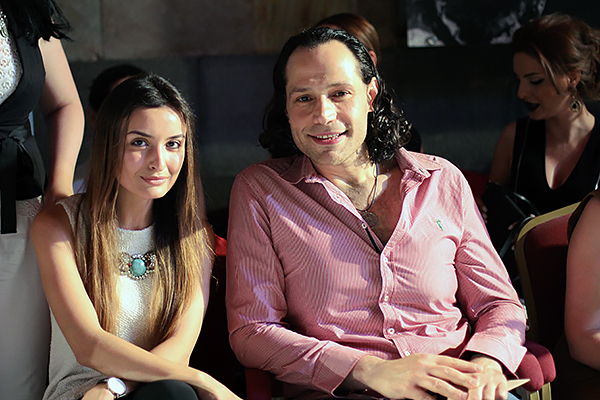 With designer Kevork Nour Shadoyan before the show. 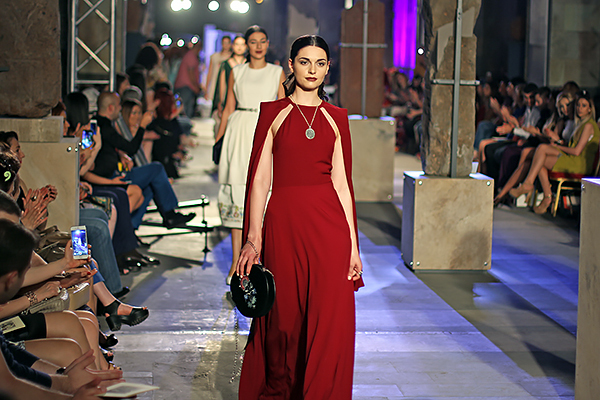 With the stylist Armen Galyan giving the presonal feedback and impressions to designer Aram Nikolyan.